Delve deeper into The Last Jedi. Did you know that a crystal fox was called a Vulptex? Or that the plural was a skulk of Vulptices? Knowing the rich detail of the Star Wars universe is only one reason to pick up Star Wars: The Last Jedi Expanded Edition. The other? Answering some of those nagging questions you had watching the film! How did the Resistance choose Crait as a hideout? Why were Rose and Pearl separated before the bombing run? What was going through Luke’s mind in his last moments? Author Jason Fry with the help of writer / director Rian Johnson provides some of those answers in this novelization of the film. Not everything is answered in these pages, though. Still don’t know how Snoke came to power or how he could be blind-sided so easily by his much weaker apprentice. Still unknown why so much time was spent on Canto Bight. Still not sure if Kylo Ren was lying about Rey’s parentage – especially in light of Luke’s off-hand remark about Rey being his niece (a nice touch in the book they reference twice). But there are lots of answers here – Leia’s use of the Force, how the First Order’s tracking system really worked, where Hux came from. Fry does a nice job of expanding upon the film and helping us to better understand what we see on the screen. He also does a good job of tying together some of the elements from other novels. References are also made to Leia: Princess of Alderaan with Crait and Leia’s friendship with Amiyln Holdo, Battlefront II and Inferno Squadron working for the Resistance, and even Cobalt Squadron with Rose and Paige Tico. What impressed me is how Jason Fry was able to take hold of the characters and help you see life from their point of view. Especially, the transitions of both Finn and Rey and our understanding of the Force. It’s easy to forget that Finn’s original motivation isn’t noble at all. And while he develops a loyalty to Rey by the end of The Force Awakens that’s about the extent of his growth. The Last Jedi novelization makes it possible to experience Finn’s evolution from self-motivated to other-motivated. Rey’s view and growth in the Force is also something Fry does an outstanding job of building upon. Most people treat the Force as a tool, but Fry (and Rian Johnson) treat it as something alive, with purpose, and meaning. Luke may be the last Jedi because Rey comes to a deeper understanding of the Force and her place in it than other Jedi before her. 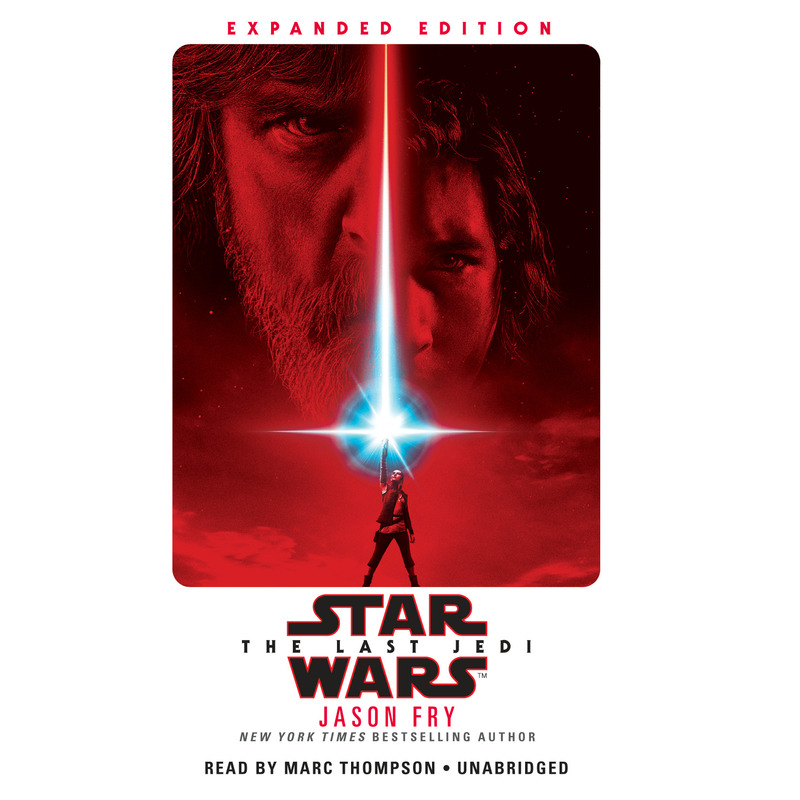 The audiobook is worthy of any Star Wars collection and adds to the story in different ways. Utilizing sound effects and background music directly from the films, Marc Thompson’s reading is made even better. It truly feels like an extended version of the film. Already, Thompson does an amazing job portraying all of the different characters. He is able to find the intonations of each actor that makes you almost feel as if they were reading it themselves. The only one that felt off was Rose, but the cockiness of Poe, the determination of Rey, the steadfast personality of Leia, the wisdom (and snarkiness) of Luke are all there. His portrayal of Kylo Ren is spot on; so much so it feels like Adam Driver is there. And his rendition of Benicio Del Toro’s DJ is impressive. At 11 hours it makes a great companion for a long trip and will make you appreciate Jason Fry’s story even more. Both the audiobook and the novel are a must for Star Wars fans. The story will help you appreciate the film and help you understand the motivation and development of your favorite characters. 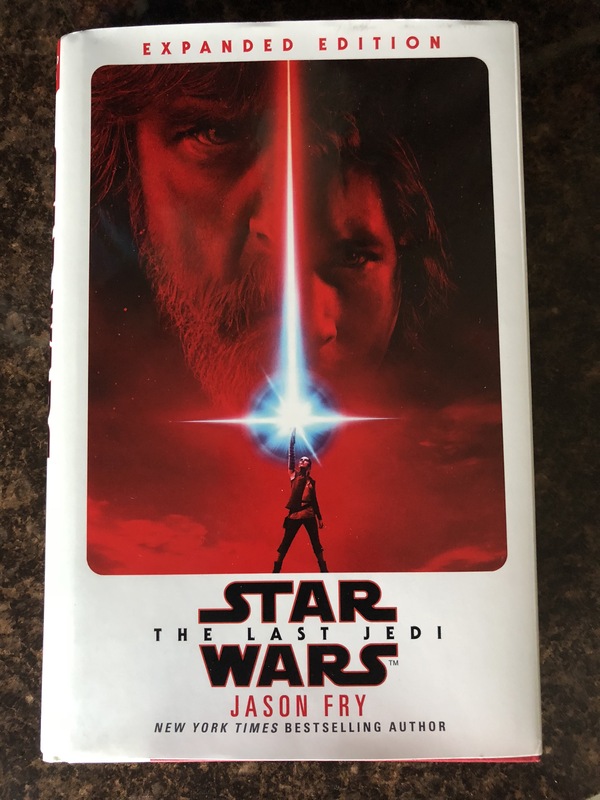 More than just a novelization of the film, it truly is an expanded version of The Last Jedi. Both the novel and the audiobook are available from Amazon.com and your favorite book seller now!